The VNR was formed as part of the family of martial arts, including Kendo, Iaido and Jodo, which together make up the Melbourne Budokai. VNR members train at the Kenshikan Dojo which is centrally located on the fringe of the Melbourne CBD. 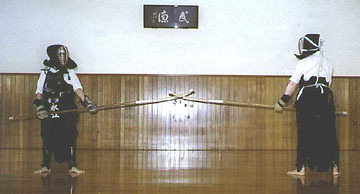 Naginata instruction is provided in English with some Japanese. For more details visit the VNR website. Beginners courses are held throughout the year. Please contact us for further information on joining Naginata classes, to watch a Naginata training session, or any other enquiries.